Just A Splash Port, Rum and Sherry are the only ones of their kind. 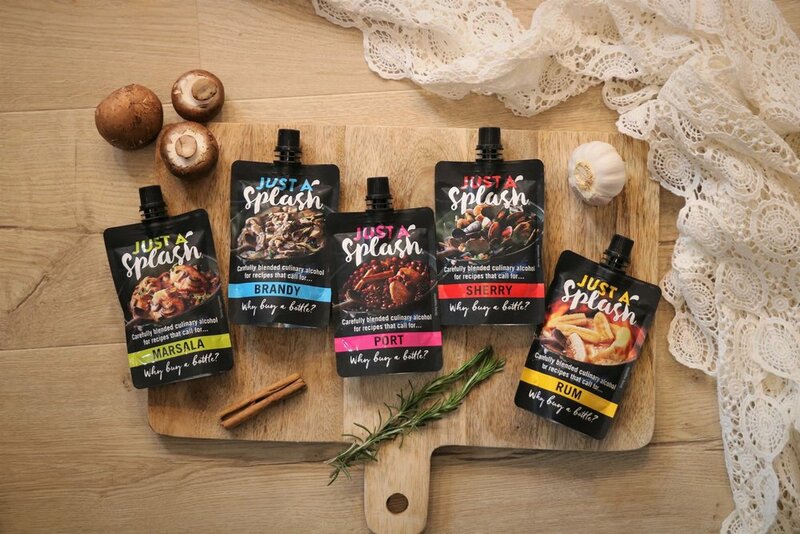 Convenient recipe-sized 100ml pouring pouches means no more fussing with unnecessarily expensive large bottles of booze that take up cupboard space and ultimately never get used. Just A Splash are small and easy to store, greatly reduce waste and are as cheap and cheery as a packet of parsley!